EDITORIAL: Will The Smart Watch Supplant The Swiss Watch? Smart watches in headlines everywhere, as Apple is expected to launch the iWatch later this year. Many in the luxury watches business are asking what this means. Some regard the smart watch as irrelevant, while others quietly recall the quartz crisis of the seventies that decimated the Swiss watch industry. Tremendous anticipation awaits expected launch of the Apple Watch in September, even though it is hardly a pioneer. Pebble, the crowd funded smart watch launched in 2013, has sold some 400,000 units to date, not to mention fellow smart watch makers Samsung, Nike, Garmin and Sony. What does highly anticipated Apple Watch mean for the luxury watch business? History is replete with examples of obsolete technologies being ousted by newer and better inventions. The automobile replaced the horse drawn carriage, and the iPod did the same to the Walkman. Consumers switched from one to other so drastically that the carriage and Walkman have become historical relics. That is explained by the fact that the new technology fulfilled the exact same purpose as what it replaced. This is precisely what happened in the seventies, when the world beating Swiss watch industry was decimated by the Japanese quartz watch. At its nadir employment in the Swiss watchmaking business fell by some three quarters. It took years, and a few brilliant minds like Nicolas Hayek and Jean Claude Biver, for the Swiss watch industry to climb out of that hole. But it did and last year Swiss watchmakers enjoyed their best year ever. Yet the question lingers, might history repeat itself? Probably not. The impact of smart watches on the luxury mechanical watch boils down to the true purpose of each – which are two very different things. On the surface it appears Apple is gearing up to position itself as a luxury accessory of sorts. The maker of iPhones reportedly hired TAG Heuer’s vice-president of sales earlier this month, having already recruited the former heads of Burberry and Yves Saint Laurent in quick succession. But the iWatch and any other smart watch is still an electronic gadget. It is in effect an extension of the mobile phone, able to make calls, display information on the weather, markets and so on. And of course it tells the time. In short, the smart is a functional object. In contrast the last thing a mechanical watch is meant to do is to tell the time. Owners of such timepieces would hope they reflect taste or wealth, or in some instances, both. Fine timepieces are what economists term positional goods – their value lies in their desirability in the eyes of others. Women’s jewellery has zero function, but they are perfect positional goods. Luxury watches are just that. Functionality is a minor, or even absent, consideration. In the past timepieces were far more essential as functional objects. 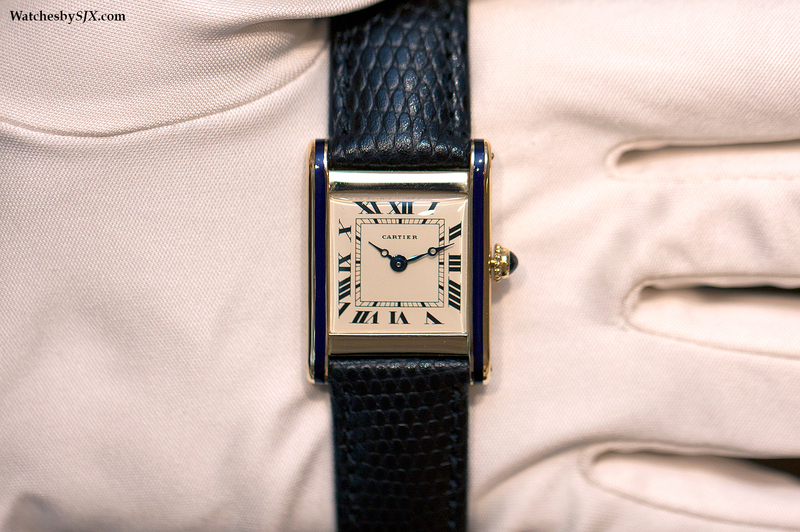 A gentleman’s pocket or wristwatch was one of the few methods of time telling. The success of the quartz watch at the expense of the mechanical watch was precisely because of that – both fulfilled the same function. But today the time can be found on the mobile phone, inside the car, and on all manner of home appliances. And many people actually collect watches. Henry Graves Jr. and James Ward Packard are often cited as historically important watch collectors thanks to their taste and resource. But they were also uncommon figures. Today there are numerous watch aficionados with vast chequebooks and even bigger appetites for complications. The context of the wristwatch today is utterly different from what it was in the 1970s. And there is the simple matter of wearability. The iPod had to replace the Walkman because the two could not co-exist, but the same does not hold true for the wristwatch. Both a mechanical watch and smart watch can be worn at the same time with no effect on the utility of either. Eventually smart watches of all stripes will rack up sales in the millions of units, that is certain. But Swiss watches will still have their place. If anything watchmakers should be more fearful of tepid demand due to pricing and product, rather than competition from the smart watch.